Denmark. 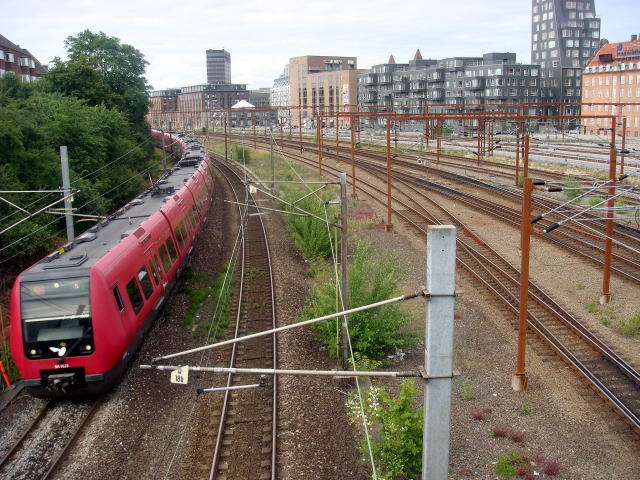 It connects the city center with the inner suburb of Copenhagen. 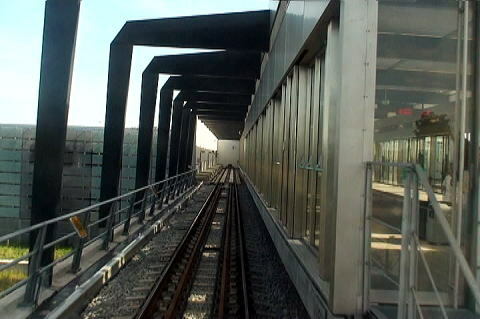 infrastructure in the city, serving more than 357,000 passengers a day. 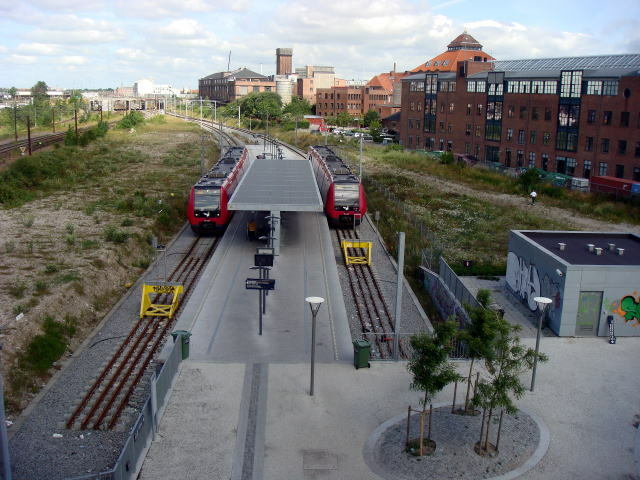 (L) The S-tog platform of Copenhagen Central station. 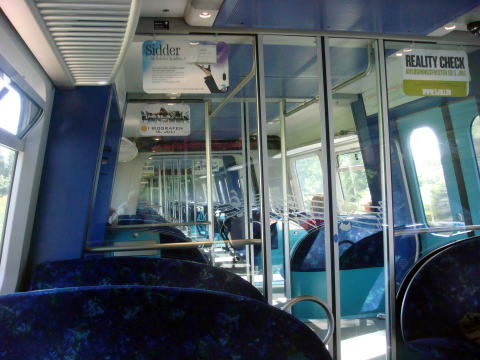 (R) A very wide interior of the S-tog train. 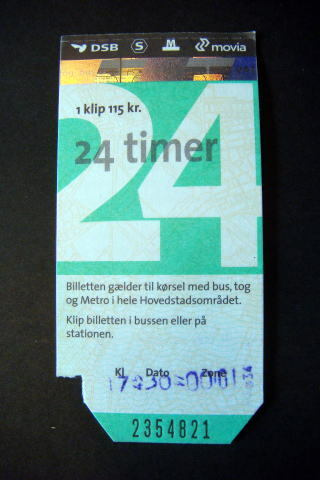 (L) One-day pass, good for 24hours ( 115DKK ). 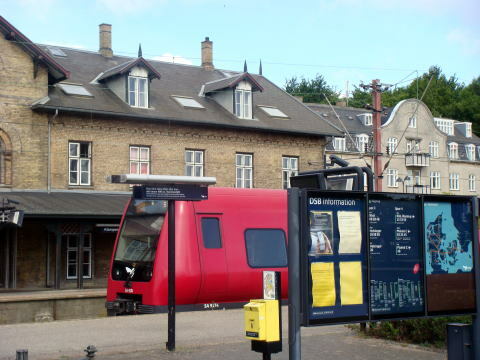 (R) Ｓ-tog train departing from the Vesterport Station. 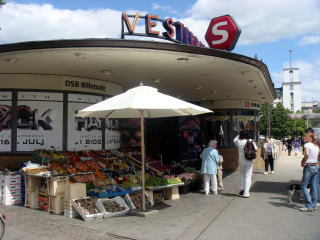 (L) Vesterport station next to the Central Station. One to two minutes walk to a metro station. 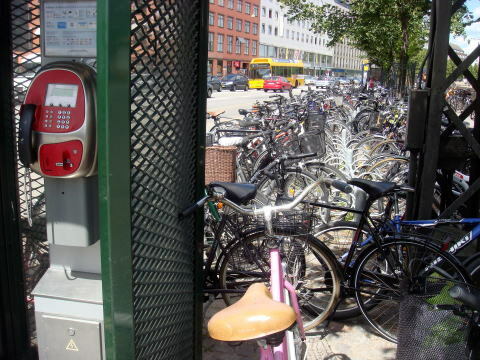 (R) Many bicycles left near the Vesterport Station. 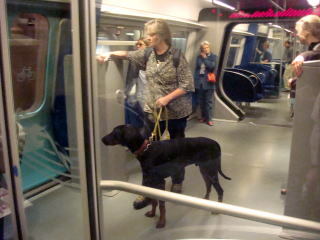 A dog is also a passenger of the train. The space for a bicycle, baby carriage and pets. 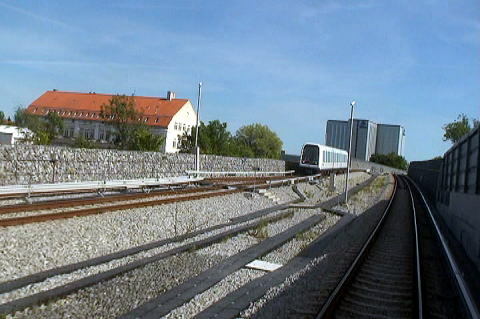 S-tog train runs near Osterport Station. 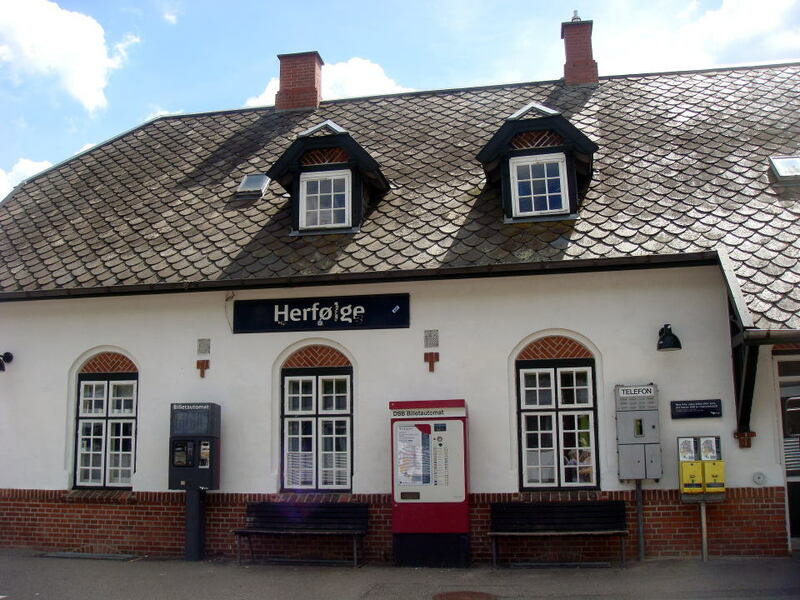 Herfolge Station of DSB. 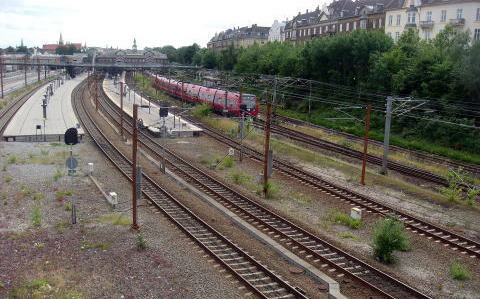 ( Denmark National Rail ). It appeared as a stage of a fairy tale. 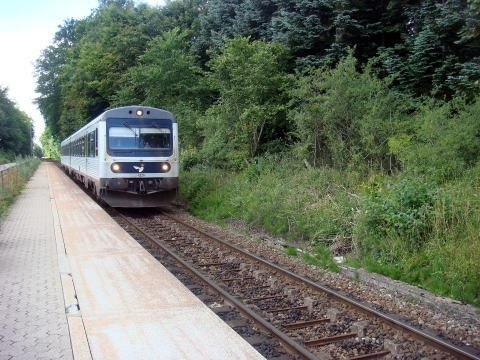 (L) A local line DSB train runs one an hour in an area rich in green. 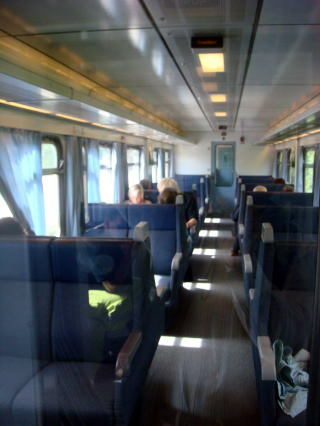 (R) Interior of DSB train. 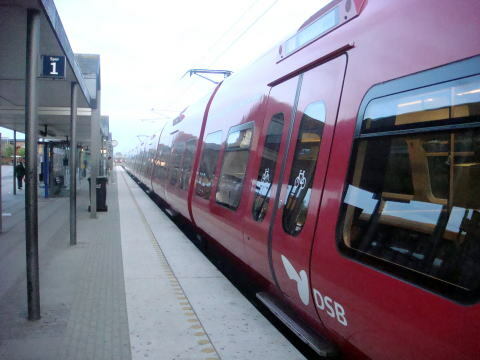 (L) S-tog trains waiting for departure at Ny Ellebjerg Station. 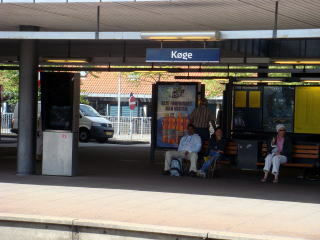 (R) Koge Station. Koge Harbour is actually one of Denmark's oldest harbors. 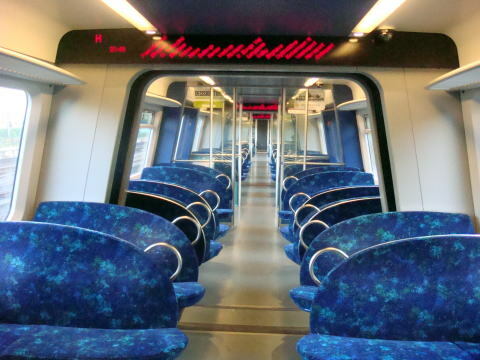 (L) A well designed interior of a train with deep blue color. 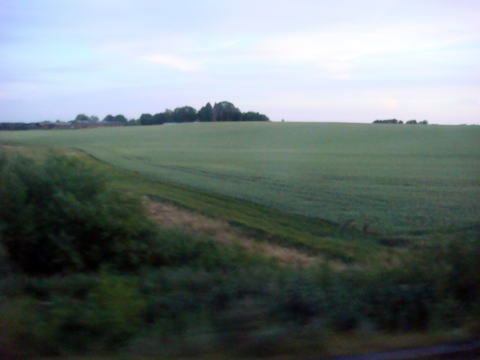 Landscape between Malov station and Frederikssund station ( Photo was taken at 21:30 ). 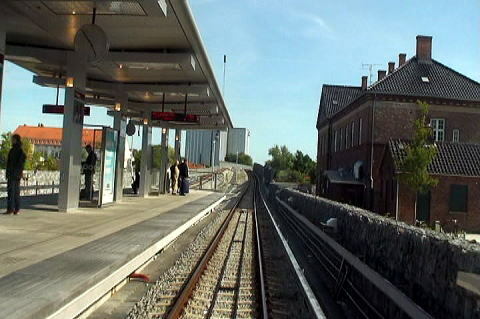 Terminal station of S-tog, Frederikssund ( The time: 21:50, still bright as a day ). 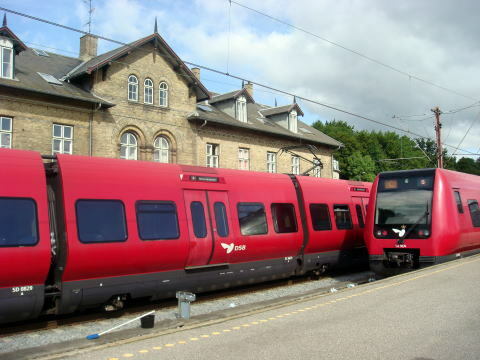 Frederikssund station and a red-colored S-tog train ( We must push a button to open a door ). 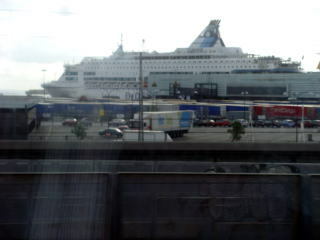 (L) A big cruise ship seen from the platform of S-tog、Nordhavn station. 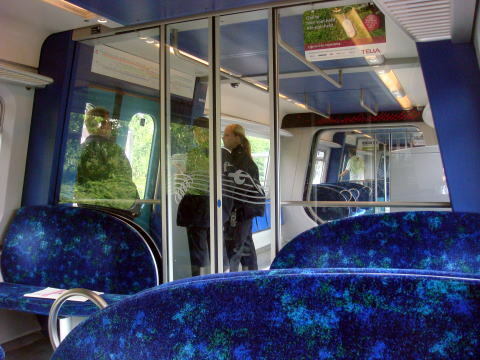 (R) Ticket examiners in a train. 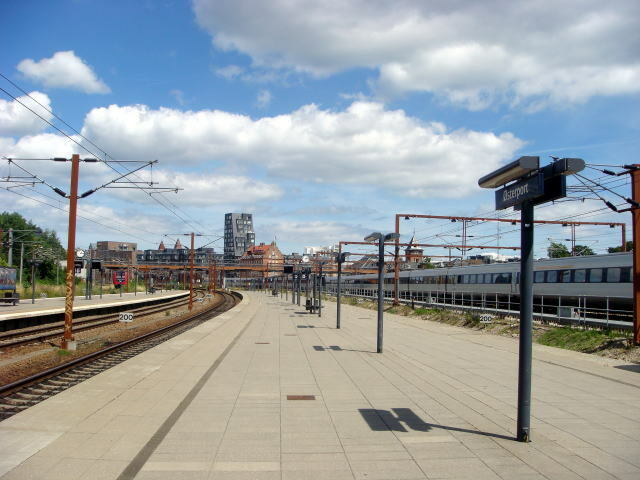 A passenger must register the time of enter to a platform, if not, has to pay a penalty of 600DKK. 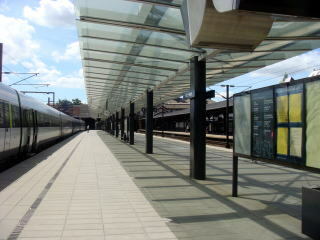 Roskilde station platform. 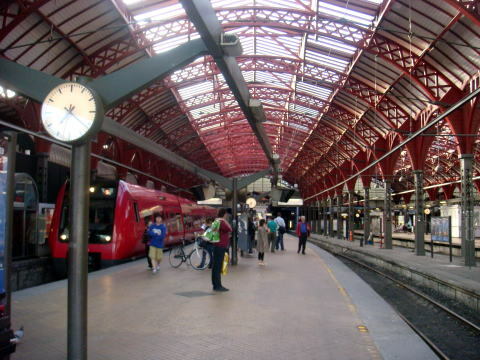 Passengers waiting for a train for Copenhagen Central Station. 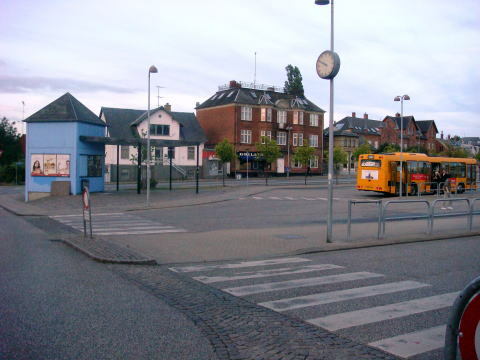 A Roskilde Festival in the south of Roskilde is one of the five biggest annual rock music festivals in Europe. 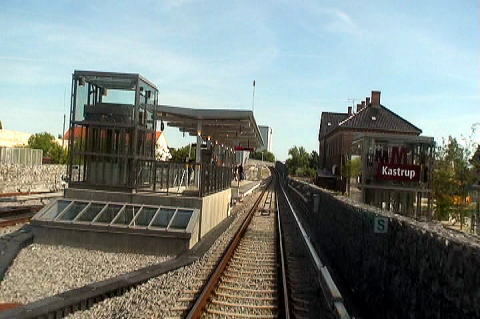 Klampenborg Station of DSB and S-tog lines. 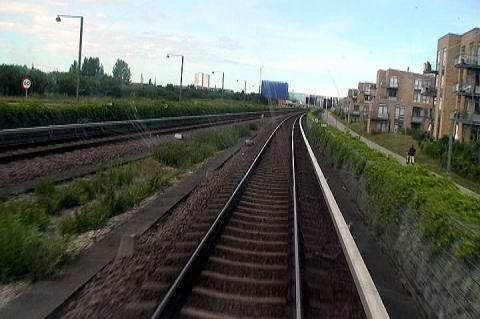 A house standing on an own ground increase as a train goes up to north along with Oresund Strait. 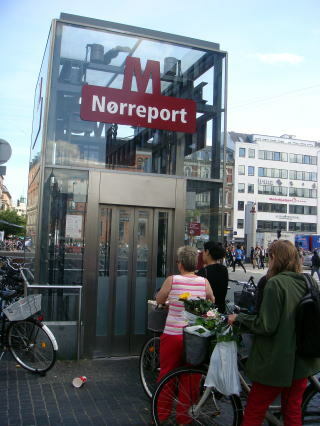 Norreport Station in the central area of Copenhagen. 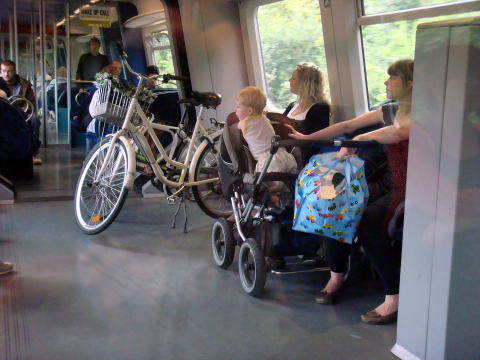 Passengers with a bicycle are waiting for an elevator down to a subway station. 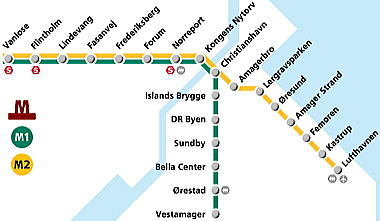 Copenhagen Metro is a rapid transit serving Copenhagen Metropolitan District in Denmark. was extended to Copenhagen Airport. 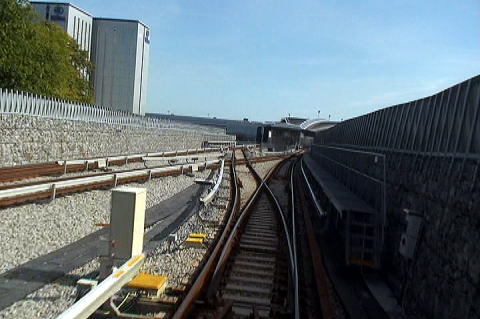 The train runs automatically without a driver . 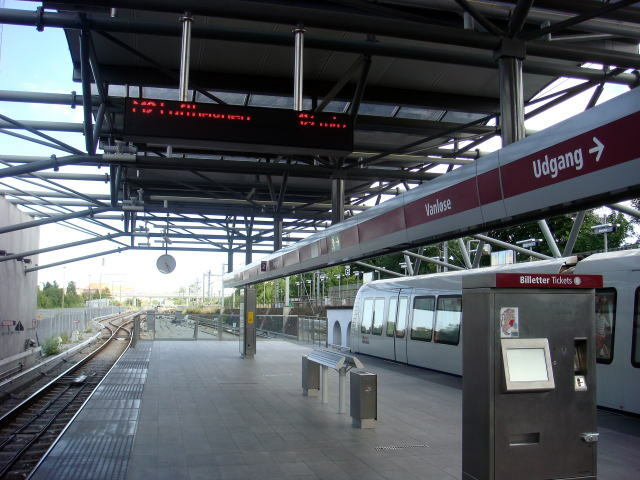 Vanlose Station, the terminal of M1 and M2. Automatic vending machine for tickets on a platform of a subway. 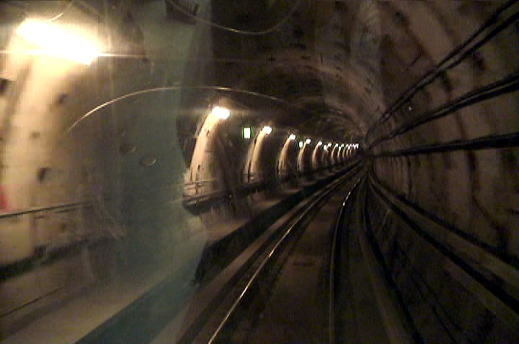 (L) A train runs underground in the center of the city. We can enjoy the view in a driver's eye. 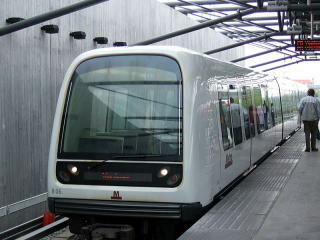 (R) A Metro train at the platform of Vanlose Station. 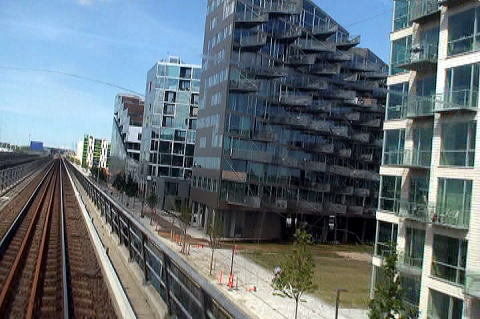 (L) Many condominium buildings were under construction along the M2 line of the subway. 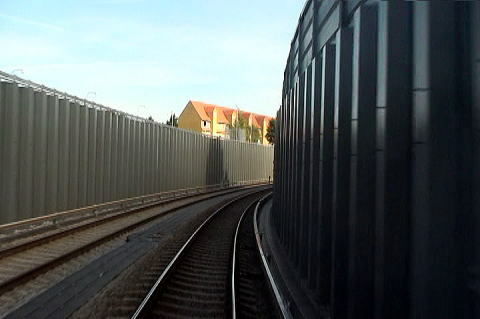 (R) A long high wall built railway to prevent noise caused by a train. 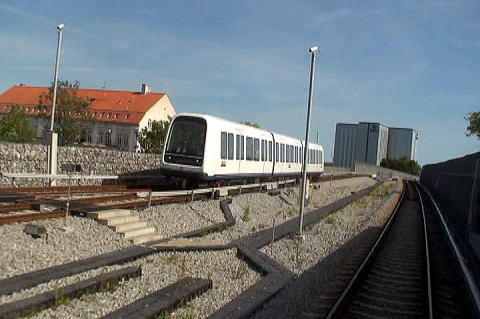 The Copenhagen metro adopted a computer-controlled driverless light train system. 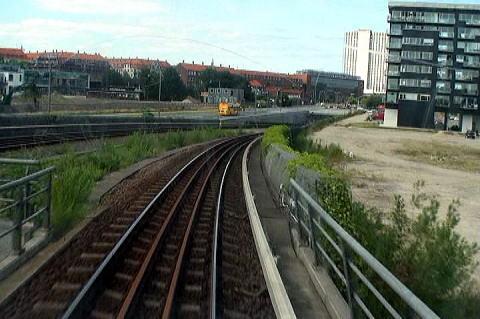 Entering to Copenhagen Airport Station. The station has a full size platform screen door.